A proper gym bag. When training, you’ll always want to have your things organized as much as possible and a proper gym bag will help you with that. It doesn’t have to be expensive, nor to be of a known brand. What you’ll want is quality and that it be big enough for all the things mentioned on this list to fit in. Boxing gloves. One pair of gloves is enough, but two is usually better because you’ll need a different one for bag work and another one for sparring. Be sure to choose invest well in them as the more expensive gloves are more likely to last for many years compared to the cheaper ones. Fighting shorts. Unlike in other combat sports, fighting shorts or 泰拳 短褲 used in Muay Thai isn’t as long. Often, they’re just as long as your typical boxer shorts, which may be awkward to use for those who’re new to it, but will also provide much needed mobility. Invest in a few high-quality ones and you’ll find yourself set for a year or so. Protective equipment. Most of these are available in your local gym and you can rent them out. BUT, you’ll want to own them anyway for hygiene reasons. Shin guards, headgear, groin protection and a mouth guard are necessary for you to train well and prevent injuries. Try to ask your personal trainer for tips on how to choose such equipment as they’ll know which brands are the best or where in your local area is the best to shop. Also, in the case of shin guards, be sure to fit them first since they come in many shapes and size. Hand wraps. As a common rule of thumb, you’ll want to own a dozen or so hand wraps and bring a couple when you’re going to the gym. Why? Because they’re useful and could also double as athletic tapes. Knee pads and elbow pads. Anyone who’s ever clashed knees or elbows with their sparring partners know how painful it is. So, while not necessary, buying yourself some knee and elbow pads could prevent any unwanted injuries and cuts. Ankle braces. If you’ve got some spare cash, ankle braces are a worthy investment. Novices aren’t likely to use them, but those who’re more advanced will find them useful as they help protect the feet from the backlash created by all the kicking involved in Muay Thai. 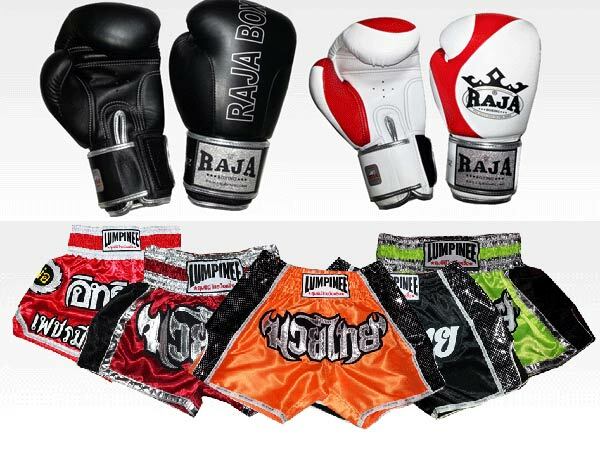 If you want your money to be spent only on high-quality gloves and fighting shorts, you’ll want to pay a visit to http://www.muaythaisport.com and their wide selection of accessories, clothing and equipment for Muay Thai fighters and enthusiasts alike. The Perfect Pair of Boxing Gloves For You!